LITTLETON, Colorado – February 15, 2017 – Is there anything better than spending time in a place you’ve only dreamed of? If only we could just wake-up, transported to a centrally located hotel with views galore and a perfectly planned itinerary instead of spending months planning a big, off-the-beaten-path vacation. Most people would agree, it’s not easy to plan a fun, stress-free vacation in exotic destinations like Cambodia, India, Vietnam, South Korea, Thailand or Myanmar (formerly Burma). Questions pop-up about everything from language and cultural difference to flights and fun. To help travelers ensure they’re getting the most out of their journey through Asia, there’s Monograms. Monograms not only helps take the stress out of planning a vacation, the company delivers them to hand-picked, centrally located hotels. Even better? Monograms – a sister company to award-winning tour operator Globus – is the only vacation provider that promises travelers a warm “welcome” thanks to the on-site services of an expert Local Host who offers tips, insights and also arranges sightseeing in each destination. For instance, on Monograms’ NEW Mingalabar Myanmar vacation (priced from $2,479), travelers can spend 10 days stepping back in time to explore this beautiful country boasting Buddha statues clad in gold leaf, historic temples and some of the most hospitable people on the planet. After arriving in Yangon, travelers will join a Local Guide for a private, guided tour of the city which includes tea with the locals, a visit to Chaukhtatgyi (a massive Reclining Buddha) as well as time at the country’s most important religious site – Shwedagon Pagoda. On Day Three (3), travelers will fly to Mandalay for more private, guided sightseeing including visits to Kuthodaw Pagoda and Shwenandaw Monastery – the only remnant of former King Mindon’s “Golden City” to survive the bombing in WWII. 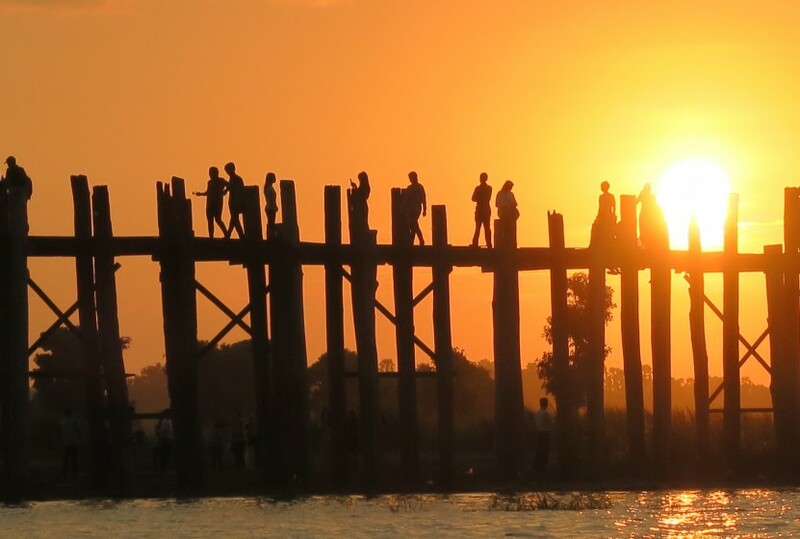 A second day in Mandalay includes learning about woodcarving and gold leaf and ends with a visit to the famous U Bein Bridge where guests will enjoy sunset on a Sampan. Then it’s off to Bagan to attend a traditional puppet show, spend time in a local market, learn about the art of lacquer as well as private sightseeing to temples and pagodas including Shwezigon Pagoda, Ananda and Sulamani. The trip is capped off with a journey to picturesque Inle Lake where stilted homes dot the shorelines. For more information about Monograms visit www.monograms.com or blog.monograms.com. To download a PDF of this release, click here.